I love MLVProducer and i think it's the best MLV processing app for my workflow cuz I am able to set hotpixel manually and clean false colors without any artifacts. The Verticle Stripe detection is bad. Some MLV-files will not been cleaned or only cleaned in some part of the luminence range. Verticle stripes detection is much better in other post processing apps like MLV_Dump, MLVFS, MLV APP. I use a Canon 5D mark III if it helps. Do you have the .mlv file that's having a issue ? Can you post a link to it so I test it ? You have false color artifacts on 5D3 clips?! Really?! Yes, if I filming a tree with leaves and have a light bakground. Check here! This is "normal" in 1x recording mode (non-crop) and mostly happens at hard contrast edges. Using some debayer algorithms may increase or lower such artifacts. In MLV-Producer and MLVApp you can select between multiple debayer algorithms... give that a try. In MLV-Producer I don't know exactly which one is best in this situation, in MLVApp it should be IGV. I tried removing the vertical stripes in both, MLV-Producer and MLVApp. MLVApp removed them completely and the algorithm is opensource. In MLV-Producer it was removed ~50% only... but maybe the MLVApp algorithm (coming from another ML tool here in the forum, forgot which one) can be added to MLV-Producer. Confirmed , mlvpproducer can't fix this . @ AWPStar could have a look at this please . so not corrections at all just what you see in the dng . use it with the new mlv_dump from the download page . Okay, I know that false colors fix it pretty good in MLV-Producer. Yeah you see the verticle stripes is failing. But why I like MLV-producer more is that I can select hot/bad pixels manually. The auto function in MLV-App add a small artifacts in the high contrast edges cuz it thinks that a bad pixel. Do you know the different between the two interpolation mode? Yes, i will check this. Thanks for the file. It will help a lot. when I launch MLVProducer on my windows 10, always got ”Runtime error ‘5’：Invalid procedure call or argument. It may be the way I adjusted the image but I get pinkish hi-lights in the almost blown out areas with the 3/5 un-squeeze . problems . MLVApps did the better job of reducing pinkish hi-light in the moiré patterns but lost detail in the aliasing areas . A.E. was the least desirable with data missing/holes in the test pattern , it doesn't handle aliasing very well I wouldn't use it . If you would like to check it out that would be great . Hello -- I just installed the latest version of ML Producer (on windows 10) and it's fantastic. Thanks for this great piece of software that finally makes magiclantern quick and easy to use. Only small problem I have is perhaps with the LUTs. I am using the Canon t4i (650d). Although the footage looks good right away, I can't seem to get the color quite right. Reds are always a bit orange, for example. 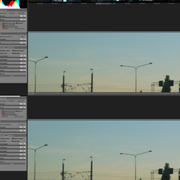 I tried the "Hunter's" LUT for the Canon 5d, but that's not at all right. Is there a LUT for the t*i series cameras? When I previously shot raw footage and when through the more laborious process with compiling images from dngs into footage, I was able to get perfect color. I am just struggling to learn how to do this in ML Producer. Any tips much appreciated. 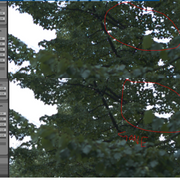 Hi, this software preserves highlights a bit better than other mlv tools out there but i have one question about 11 bit lossless mlv from canon M, when i import it then its a bit darker than lets say 14 bit lossless. Is it normal ? Any way to change that ? I tried different method to reconstruct green but it just helps tiny bit and stretches histogram. On 14 bit histogram is nicely distributed but on 11 bit lossless its squeezed to half its length. Can you send me this file? I made new one 11 bits lossless cause I dont have the ones above anymore, is there anything specific you need ? It looks like MLV producer treats differently lossless footage and it limits exposure making footage too dark, if theres anything specific you want me to film , let me know. Baby footage looks good in it and the one im posting now looks dark. MLV Header tells that this is 14 bit file. I'm not sure how to determine this in lossless file. But i can make an option "Use input levels". It will use black and white levels. When i open it then its darker, all lossless footage is darker in mlvproducer, 10,12 or 14 bit and uncompressed has correct histogram spread and brightness. I can send you 10 and 12 bits too, just let me know. "Range in White Level" option in input tab. AWPStar thank you for this fantastic app. few days back i shoot some raw video after a long time and compare this app with mlvapp and love this app as the outcome is supeb very cinematic which i always wanted. is there any way to have a strength slider for the lut input? It works , thanks ! >is there any way to have a strength slider for the lut input? Oh. i forgot about it. i'll do it in a week.